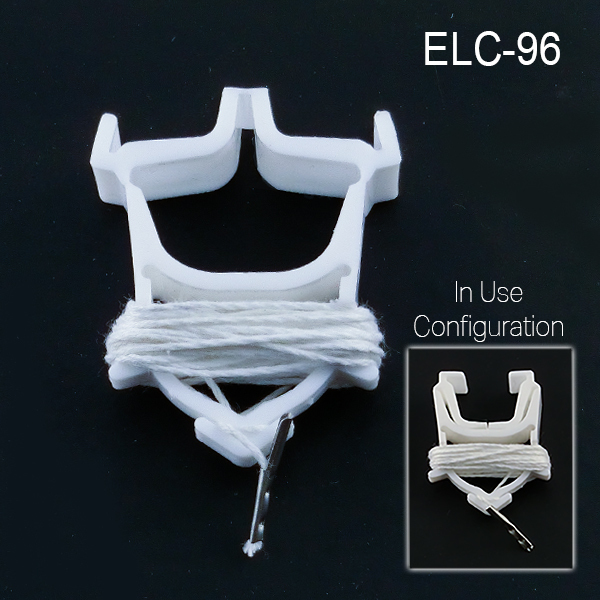 Minimum quantity for "Lok-Tite™ Ceiling Clip with 96" Cord, ELC-96" is 10. This ceiling grid clip is a great way to hang a sign from the ceiling in a retail store environment. Easy On, Easy Off from standard ceiling grids. 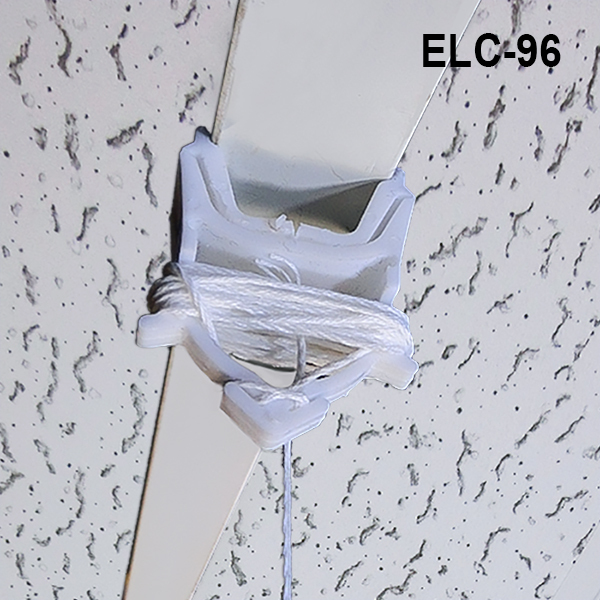 If your ceiling is 20 feet high, our ELC-96 will hang a sign 12 foot at the top of sign, and if it's a 4 foot high sign, for example, it will be 8 foot above the head of your customers. 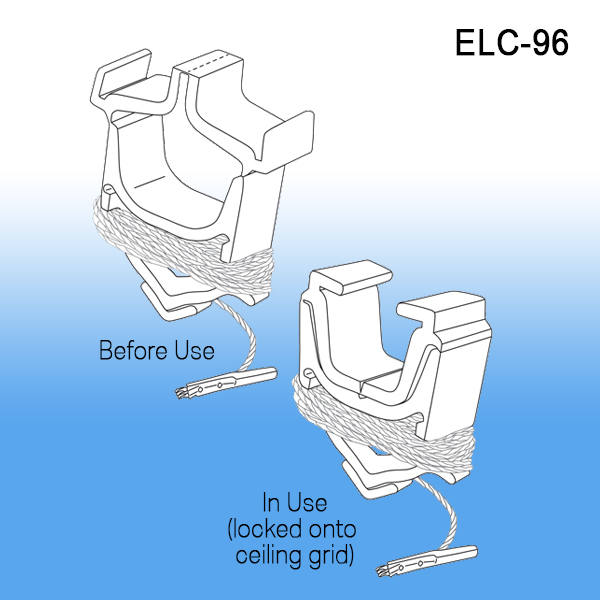 This gives you an example of the capability of these style ELC series sign holders. Marketing with signage at retail is critical in communicating to the in-store customer, Clip Strip Corp. is a market leader in retail sign holders and product merchandising.